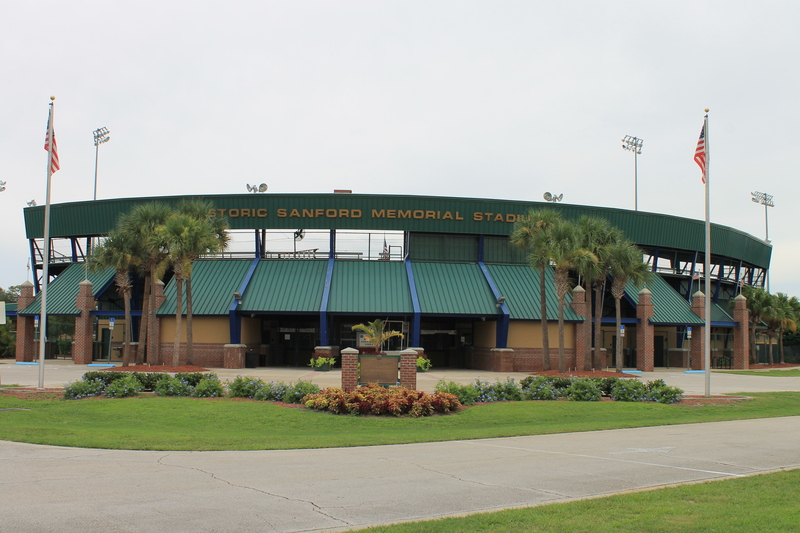 The Historic Sanford Memorial Stadium, located at 1201 South Mellonville Avenue in Sanford, Florida, in 2011. 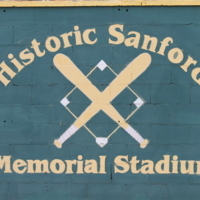 The stadium was built on the original site of the Sanford Municipal Athletic Field, which was erected in 1926. 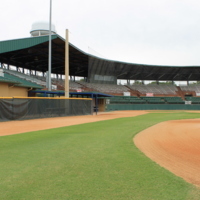 Many major league stars have played in the stadium including Babe Ruth, Jackie Robinson, Willie Mays, Tim Raines, and David Eckstein. 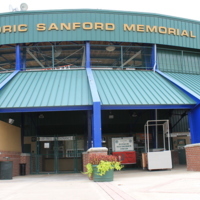 Sanford Stadium is best known as the location where Jackie Robinson first took to the field in 1946 to play baseball as a member of a white Class AAA International League Team in Daytona Beach, which was partnered with the Montreal Royals. 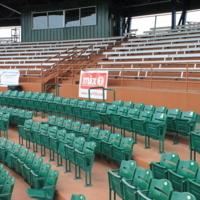 When Robinson took the field, however, the crowd booed him off before he could play. 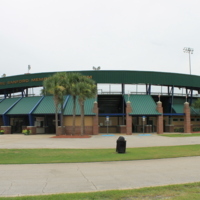 The police chief had threatened to cancel the game if Robinson took the field. 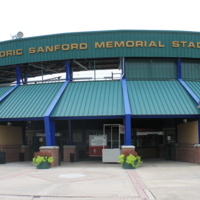 Sanford Stadium was also used as the Spring Training Facility for the Boston Braves in 1942 and the New York Giants in 1951. 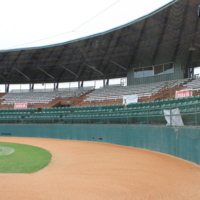 In 2001, the stadium was refurbished, costing $2 million. 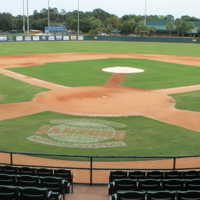 During the 2009, Sanford Stadium was the home of the Seminole County Naturals of the Florida Winter Baseball League, which suspended operations during the season due to lack of funding. 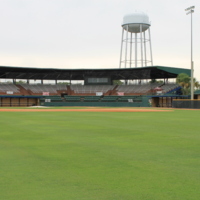 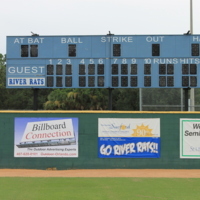 As of 2013, the stadium served as the home of the Sanford Babe Ruth Baseball League and the Sanford River Rats of the Florida Collegiate Summer League. 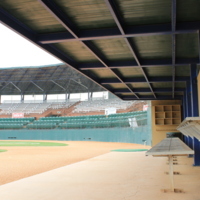 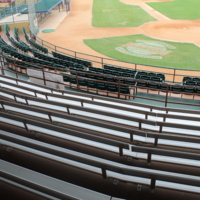 The ballpark features 415 box seats and 1,600 bleacher seats. 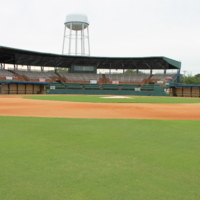 Original color digital images by Geoffrey V. Cravero, July 26, 2011. 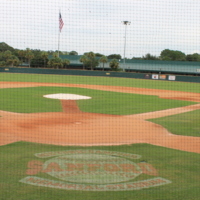 Sanford Baseball Collection, Sanford Collection, RICHES of Central Florida. 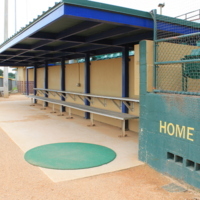 Originally created by Geoffrey V. Cravero and published by RICHES of Central Florida. 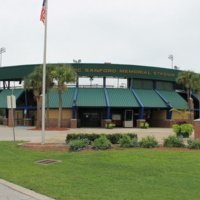 "Historic Sanford Memorial Stadium." 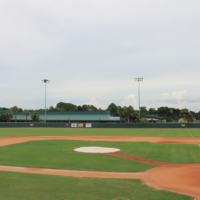 Sanford Florida. 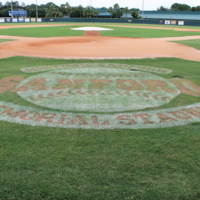 http://www.sanfordfl.gov/index.aspx?page=311. 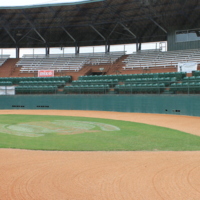 Crepeau, Richard C. Baseball, America's Diamond Mind, 1919-1941. 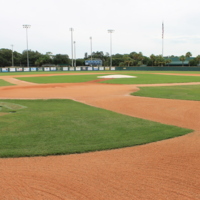 Orlando: University Presses of Florida, 1980. 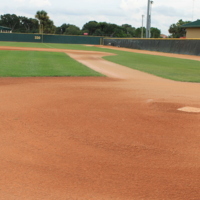 Lamb, Chris. 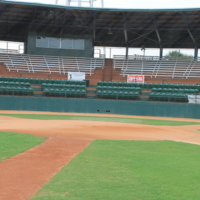 Blackout: The Untold Story of Jackie Robinson's First Spring Training.. Lincoln, Neb: University of Nebraska Press, 2004. 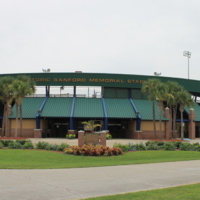 Cravero, Geoffrey V.. “Historic Sanford Memorial Stadium, 2011.” RICHES of Central Florida accessed April 20, 2019, https://richesmi.cah.ucf.edu/omeka/items/show/2027.